The Polaris Beach and Dive Resort Bohol is a diving oasis situated on Cabilao Island endowed with white sandy beach fringed with coconut palm trees. The cool, blue, unpolluted water that surrounds Cabilao is rich in marine life with a variety of colored tropical fishes and coral formations. 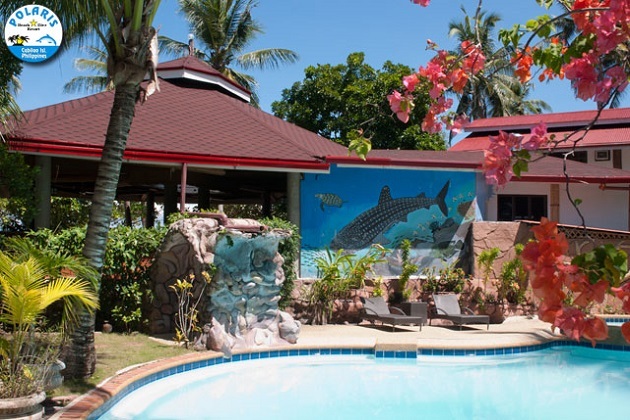 Polaris Beach and Dive Resort was originally opened in June 1998 under the management of German Franz Baumann and his wife Maria and is one of the best dive spot in the Philippines both for beginners and experienced divers. The Resort boasts of tree houses, deluxe and superior rooms, and family bungalows provided with modern facilities and amenities constructed of natural local materials. The restaurant offers a choice of Asian, European and Vegetarian dishes made from the finest and freshest food available. The Polaris Beach and Dive Resort Bohol is located at Cabilao Island, Loon 6327 Bohol, Visayas, Philippines. 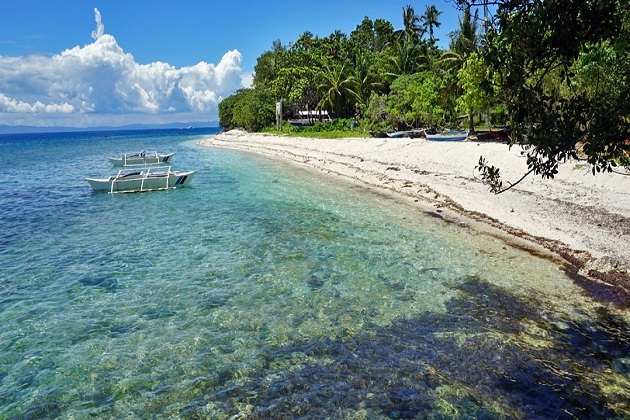 Cabilao Island is a 7.2 square kilometer tongue-shaped island, which is under the jurisdiction of Loon, Bohol. The island is inhabited by 3500 people whose main livelihood consists of fishing and agriculture. Loon town is located in the western coast of Bohol 27.4 kilometers from the capital, Tagbilaran City, and has a land area of 11,975 hectares. Bohol Island, the tenth largest in the Philippines, lies between Cebu to the northwest and Leyte to the northeast, to the south is the large island of Mindanao. From Tagbilaran City At Tagbilaran, catch either a bus or a taxi to Tubigon until Mocboc (Sandingan Island). An outrigger boat will take you from Mocboc to Cabilao. A trip from Tagbilaran City to Tubigon takes about an hour and a half and to Cabilao Island, only a few minutes by boat. From Cebu City For ease of travel, the resort offers transfer services. They arrange the trip from Cebu City to the island. 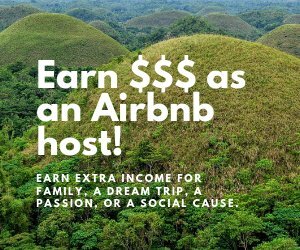 If not, take a bus at the South Bus Terminal or a taxi along the Coast of Cebu Island to Argao on Tuesdays and Saturdays until you reach the beach of Looc. Looc is 100 kilometers from Cebu City with a traveling time of approximately 2 hours. From there an outrigger boat will take you directly to Cabilao Island. The trip will last for 45 minutes. 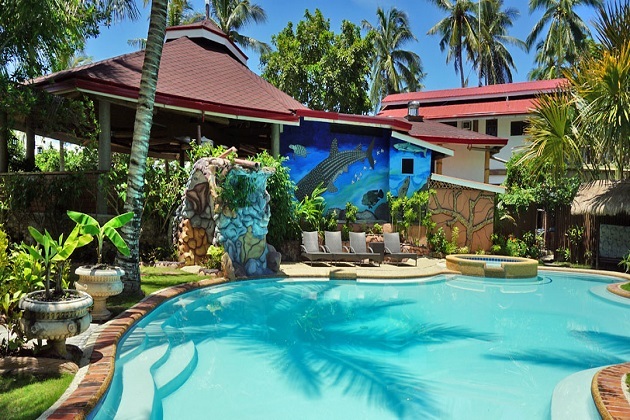 Polaris Beach and Dive Resort features rooms in a cottage style made up of natural and local materials with a tree house, fan and air conditioned rooms and family bungalows. Tree House There are three available units named Centauri, Saturn and Uranus. The native tree houses with thatched roofing are built up on coconut trees with a veranda and a bath laid out in tiles. A ventilator exists in the rooms. Deluxe Rooms There are two deluxe rooms namely Mars and Neptune with thatched roofing and a veranda with wooden balusters. Hammocks are available at the veranda. The tiled rooms are either with fan or air condition, with toilet and bath with shower. Bamboo chairs are provided outside in the veranda. Superior Rooms There are four Superior Rooms namely Jupiter, La Luna, La Terra and Venus housed under a modern architectural building. These rooms are spacious and features large tiled bathrooms and living rooms with air conditionings and fans and provided with terraces. All Superior Rooms are equipped with a common solar water heating system. The Polaris Beach and Dive Resort Bohol offers international and local cuisine made from the finest and freshest food in the market. The restaurant and bar may serve a candlelight dinner right at the beach under the starry sky. Coupled with excellent service and famous Filipino hospitality, every meal is sure to be a delight. The restaurant serves Asian recipes like the Tom Yam Soup, Philippine Pancit Canton, various curry dishes and sizzling steaks. European dishes like the “Zurich Sliced Tenderloin” with creamy sauce, delicious goulash and a German specialty called Spatzle which is a kind of homemade noodles. The restaurant has a pizza oven from which a variety of fresh pizzas, homemade bread and baked vegetable spaghettis are made. The restaurant serves vegetarian dishes like vegetable pasta, spring rolls and vegetarian burger. The Sundowner Seaside Bar is unique. It looks like a large outrigger boat with stools lined at the sides. 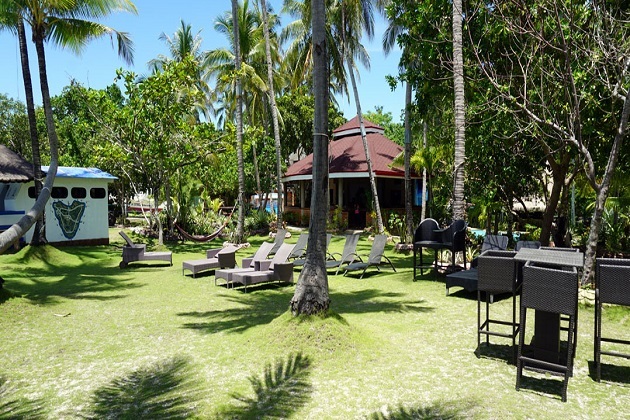 The Bar lies on the beautiful sandy white beach of Cabilao Island and offers refreshing tropical drinks. 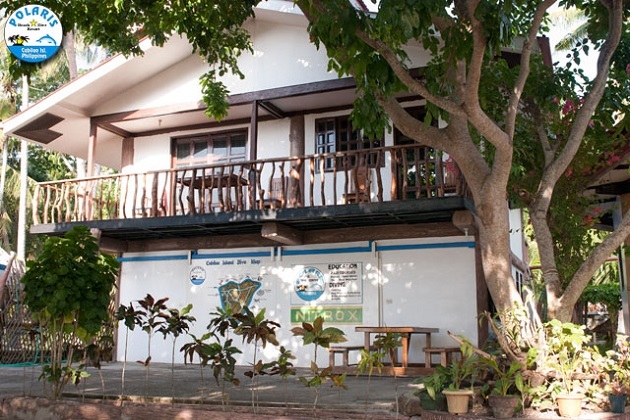 The Dive Center is a modern infrastructure right on the white sandy beach of Cabilao Island. It has 12 complete dive equipments (Beuchat and Mares), 32 tanks/air with 10 or 12 liters (INT & DIN-valve), 3 generators for independent power supply and 4 BAUER Compressors (250, 200 and 2 x 100 liters/min.). 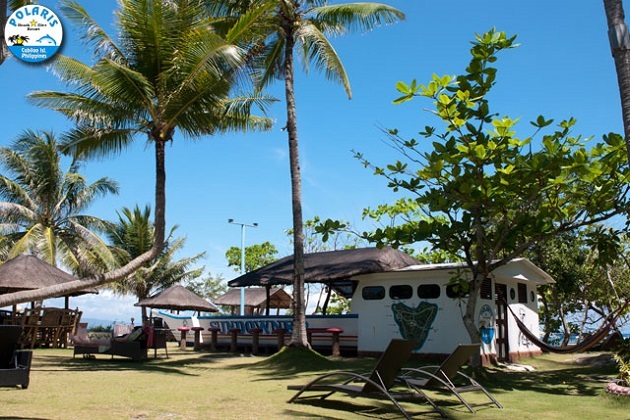 Polaris Beach and Dive Resort has 3 native outrigger boats with lengths of 30, 18 and 16 meters; and 2 speed boats for diving around Cabilao; enriched air/Nitrox (up to 40% oxygen), oxygen and medic first aid kit. It offers PADI dive courses from Open Water Diver to Divemaster either conducted individually or in small groups. 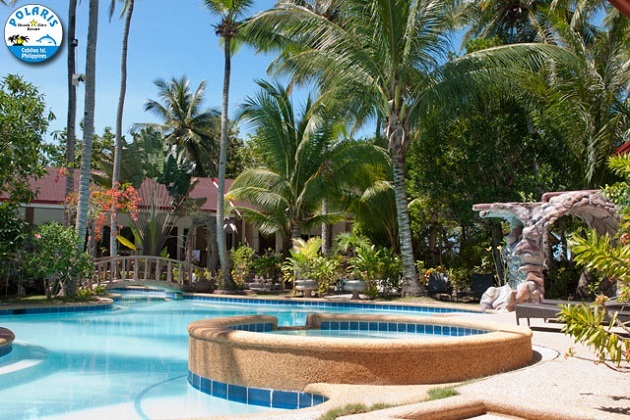 The Polaris Beach and Dive Resort Bohol boast of a newly renovated swimming pool with a whirlpool of fresh water. This free-form swimming pool is fringed with coconut palm trees. Polaris Beach and Dive Resort Bohol offers massage services including manicure and pedicure; and hair treatment with hot coconut oil. For leisure, the resort has billiards and darts facilities, a large open-air chess and a gym. Though swimming, snorkeling and diving are the most popular water sport activities at Cabilao, there are lots of other leisure activities that the guests can enjoy. The resort offers tour services for day trips and island excursions. Bohol offers innumerable scenic attractions. Three 220V / 60Hz power supply generators provide now 24 hours electricity. The Philippines 1st solar powered Internet Computer laboratory is found at Cabilao Island. Guests can indulge in a shopping tour of Tagbilaran City by visiting malls and the native market to buy original souvenirs. Enjoy a boat tour of Cabilao Island with swimming, snorkeling and diving plus a visit to Lake Cabilao, a bird sanctuary which is a host to many rare and shy kingfishers, herons and other birds. For a change of scenery, try a boat trip on the wide Moalong River which is fringed with palm trees and lush vegetation. Enjoy the sand, sea and sun at this Cabilao Island resort. The resort has much to offer: solitude, tranquil unpolluted waters, cool sea breeze, modern accommodations with updated first-class amenities, excellent service, and a lot more! Come and spend your vacation here and savor the beauty and grandeur of this island paradise. Be treated to the inherent hospitality that the Boholanos are known of. Stay in Polaris Beach and Dive Resort Bohol.